Don't Miss Out - Call Mark! "What can we say other than Mark is amazing!! He truly went above and beyond to make our first home buying experience a great one! Very dedicated, easy to work with, and makes things happen!! He made us feel very comfortable throughout the entire process. You are missing out if you aren't using Mark to buy or sell your home!" "I have worked with Mark several times to buy and sell homes. He is an experienced and knowledgeable realtor. 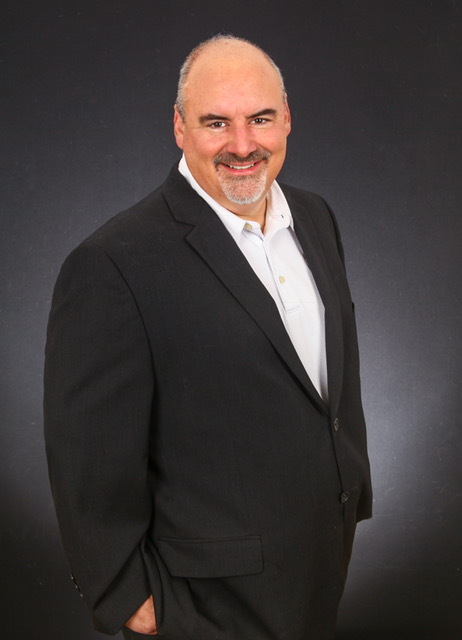 He is very familiar with the Livonia and surrounding area real estate market." First Time Home Buyers - Call Mark! "I just bought my first home and it was a great experience working with Mark. He was very knowledgeable about the area and market. Being a first time home buyer I had a lot of questions about finding a house and the process. Mark was very responsive to my questions and helped me in every step of the process. I would definitely work with Mark again and will not hesitate to recommend him to friends/family." "I was buying a home for the first time then and I spoke with several realtors over a matter of a few months, none of which had time to talk or show me houses. Then I found Mark and that changed. He did great with my million questions and helped me find the perfect house! He was available to meet in the evenings when we had to and weekends as well, and was very helpful from the beginning. Then a few months after I closed on the house he contacted me again because he noticed my taxes seemed a little high. I, of course, knew nothing about the 50% factor or the first thing about trying to get an adjustment and there was my knight in shining armor again- he met me with recent sale records for my area and that all worked out too. That little extra time and effort that he initiated on his own made him a permanent fixture in my phone book and he will forever be my realtor and my recommendation. My parents have since worked with him and I have been working with him again too in order to move soon. We have nothing but positive to say." "Fun, knowledgeable and professional,very satisfied with the service Mr.Demers had offered." "Mark is a top notch guy! Super personable and helpful! He has lots of experience in the residential market and works hard for his clients! Love him!" He Got Us Where We Wanted to Be! "Mark is a seasoned Real Estate professional. He not only assisted in buying our current home, he was also responsible for selling our former home. I would highly recommend Mark for your buying or selling needs." "Mark Demers is a long time acquaintance, through mutual business associates. He is sincere, professional and loyal to the plan at hand and facilitates a course of action with an endearing personality. Mark is a great asset to have representing you, whether you are in need of a purchase, a sale, or both!" "Mark was a wonderful partner throughout the entire process of helping us find a home. It was great to work with someone who had such a solid and clear understanding of the real estate market." He Listens and Gets Results! "Mark is an awesome agent! He listened to what I was looking for and found me the perfect house!" He Made Our Home Buying Experience a Joy! "My wife and I worked with Mark for almost a year until he helped us find that perfect first home. He was very prompt, responsive and professional throughout the whole process. I know Mark can accommodate any buyers or sellers needs and will give A+ attentiveness and devotion throughout the buying and selling process. He is a very fun and easy going individual and made our buying experience a joy!" He'll Be With You Every Step of the Way! "Mark was absolutely amazing. I purchased my first home a year ago so I was quite nervous. Mark was with me every step of the way. I highly recommend calling him to be your agent!" "Great person. He knows how to sell houses. Use Mark!" He's My Choice for All of My Real Estate Needs! "It has been a while, but I will never forget how patient he was with my picky personality. Mark also guides in a nice way and not pushing for a sale!! He wants the reputation before the money. He will be my choice for all real estate activities." "I have worked with Mark Demers from the start of his career- over 25 years! I have made several transactions with Mark, always high integrity, great service and follow up. I highly recommend Mark to anyone looking to buy or sell real estate." His Work Ethic is Second to None! "Mark works with a sense of urgency that also enabled the transaction to happen faster." "I would have to say Mark is the most honest and open agent I have ever worked with. I really enjoy talking with him as I know I am always getting a truthful and knowledgeable conversation, so refreshing! I would recommend him fully and without any hesitation." "Mark is always ready to answer your call, respond to your email and meet you at a desired property on your schedule. He is attentive and expedient to all of your housing needs. Definitely recommend His services!! "I hired Mark to sell my condo in Northville, MI after I had already relocated out of state. I had been through two other agents who were unable to move the property. Mark agreed to work with me using un-traditional marketing tactics and remained committed to selling the property. Mark found the buyer and represented both parties which saved me some money. His patience with a rookie home buyer was essential to closing the deal. I would recommend Mark to anyone looking for a committed realtor in Michigan. "Mark went above and beyond in helping me find a home. I can not think of a better home buying experience. He has extensive knowledge of the market and the do's and don'ts when buying a home." "Mr. Demers has been a pleasure to work with throughout the years! A-1 Realtor!" Mark is Truly a Gem to Work With! "Mark took the time to ensure my new blended family (2 step kids) were engaged in the conversations and worked extremely well with my wife to meet the needs of our kids to be placed in the home we still are in now. The process was seamless and any situation that came up he addressed and provided real solutions. We would highly recommend Mark as an agent. Truly a gem to work with." "Mark was great and I would highly recommend him. Mark helped my husband and I buy our first home. He showed us hundreds of houses with the best attitude. Some nights he would show 20 houses in the night; it was greatly appreciated. When we found the home we wanted to buy Mark was professional and timely helping us purchase our house." "Mark was great in helping me find the perfect home. He took me through the neighborhood and let me see what was out there before helping me to chose the home of my future. He made the entire process painless and took the worry out of every step. I would recommend Mark for any future real estate endeavor." Mark Will Work Hard for You! "Great guy! Works very hard for his customers." "I worked with Mark on several transactions over the years and I found him to be professional and very knowledgeable of the market. Mark has the experience to manage the process whole way thru which in turn always made me feel better and I knew he would predict and prevent all obstacles in the way." "Mark has helped me in the purchase of a home as well as the rental of homes. He reacts quickly to whatever the situation demands. I have always had favorable and positive results when working with Mark De Mers!" Professional Attitude, Advice and Persistence! "Mark is a driven, and results oriented professional. He landed us our first home, in a strong buyers market, despite the fact we were up against several other bidders. With Mark's professional attitude, advice, and persistence, we got our home!" "Mark is a seasoned Real Estate professional. He knows the area and how to get you the most value for your dollar!!" "Mark, has been such a pleasure to work with. This agent is very knowledgeable, works well with your schedule & focuses on what the buyer is looking for. It literally took almost 20+ different homes for him to show until I found the one I really loved. He is different, not like other agents who try to push anything at you. He is extremely patient for a picky person as myself. I have enjoyed working with him on numerous occasions. Our primary residence & adjacent property, some homes we had purchased strictly for rental properties. Mark has assisted me with the selling of a rental home which went extremely well. We have even referred him to others in our circle. Mark, is by far - one of the best out there! Please continue to work your magic.... and thank you for directing us to our beautiful home.."
Thank Goodness Mark was on My Team! "Was searching for a home in very specific area and Mark was always available at a moment's notice to go and view properties when new listings popped up. I felt like this maximized my opportunity to at least put in an offer in time to be considered. Eventually the right home became available and Mark supported me throughout the entire process." "From a previous contact Mark kept in touch for a few years by periodically sending information. When we were almost ready we met to discuss details of listing our property and what our new dream property was. While we were preparing to downsize Mark found our dream property. Well it needs a major remodel, but the location, size and lake are exactly what we wanted. That set off a whirlwind of activity with selling the large family home in 2-3 days and buying the new lake home with multiple counter offers. Mark was always on top of issues and a calming voice to a couple of near meltdowns from an anxious client. We don't have any plans to ever move again, but if we do we'll call Mark! Since every rating was excellent what else is there to say." "Mark will work hard for you and put you in the home you want." "Mark did a great job throughout the entire process. He always made himself available to show a property and knew the market well. We also worked with him on several rental properties in which I found his services invaluable. He is well connected and has a great deal of experience with all types of property. We highly recommend him for all your real estate needs." We Looked for a Long Time and Thanks to Mark Found the Perfect Home! "Very patient and polite, I've been looking for over a year. The wife and I are picky trying to find the right home. Mark has been very helpful." "Mark was an absolute pleasure to work with. He dedicated a lot of time to helping us find the right home that met our investment needs. He was always attentive and quick to respond to our questions throughout the entire process. I would highly recommend Mark to friends and family." You Will Be Happy if You Call Mark! "The hardest working realtor that I have worked with, and believe me I have worked with many. Mark is able to adapt to the needs of his clients on the fly, he has taken me to see more than a dozen homes in 1 day because he was dedicated to helping me find my dream home, and ultimately I did. He also found a wonderful home for my sister. Give him an opportunity and you will be happy." "Mark is extremely helpful in finding your perfect house."